Moon and Lola – Biscotti and a Ph.D. Happy Friday! A few days ago I was checking out a new list of dates and locations that the lovely ladies of Bourbon and Boweties and Moon and Lola had posted for their tour. The stars aligned perfectly because I was planning to visit my sister in Charleston the same day they were making an appearance at Tres Carmen Boutique! 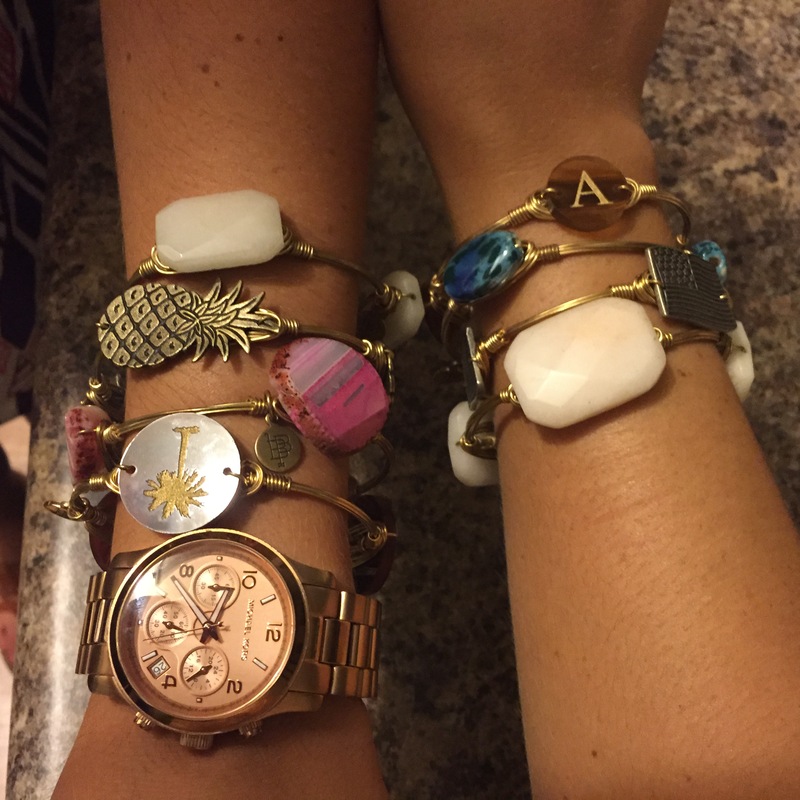 This boutique is a little gem on James Island – I had to tear myself away from an adorable pineapple top and keep my eye on the prize – a bangle! 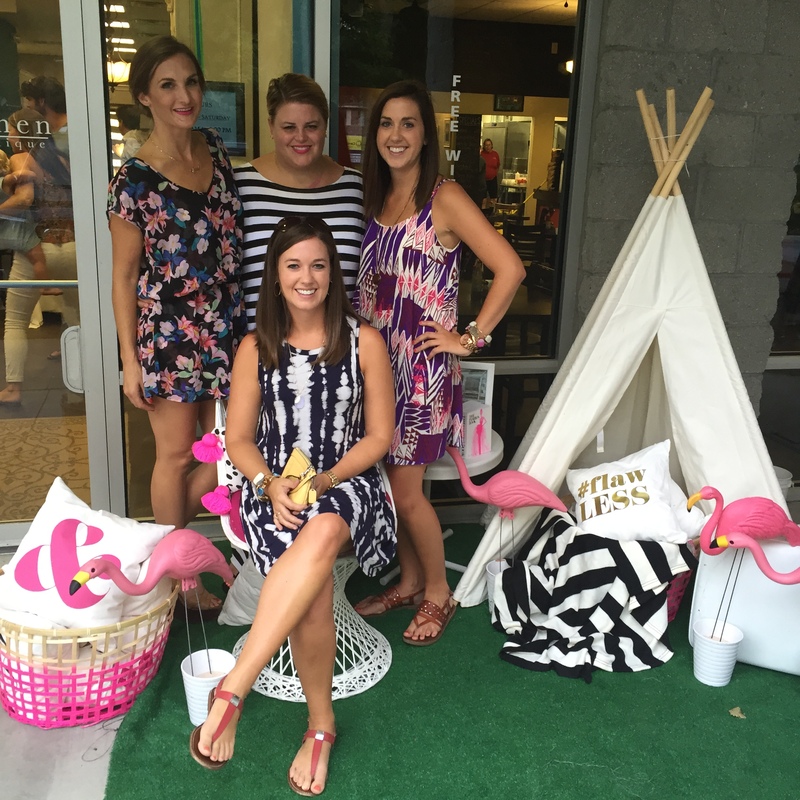 It was so much fun meeting Carley of Bourbon and Boweties and Kelly of Moon and Lola (and the raspberry moscato sangria at the boutique was amazing! We really should have begged for the recipe.). I’m even happier than before to support these two ladies because they’ve taken so much time to tour and hang out with their fans, even powering on after a scary-looking crash. Proof that you can’t keep a good, southern woman down! It’s great to know that the creators of the brands you love are just as sweet and wonderful as they seem in pictures and articles. I limited myself to one bangle from the new collection, but considering how many times I said “ooh, I like this one,” several more bangles are in my near future. A new tiger’s eye “A” bangle for me, and a palm tree for E.
Be on the lookout for an entire post on bangles soon! Have an amazing weekend!